Cute cards! That mustache button is adorable. SUPER, super cute!!! 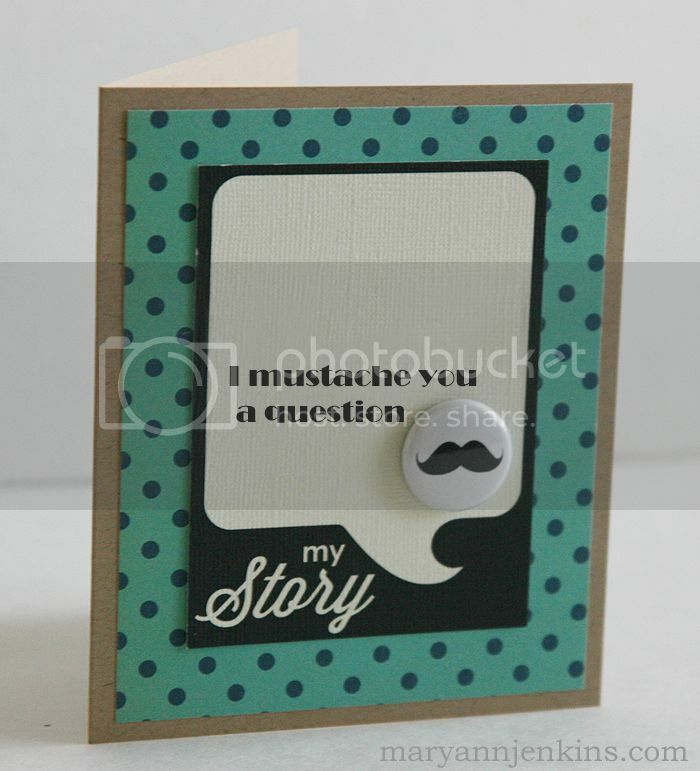 LOVE the mustache card!!! Lovely cards!! Love those little flares!! These are both super cute!!! Very cute and fun...love those JB Alphas. Love your cards Mary Ann!! 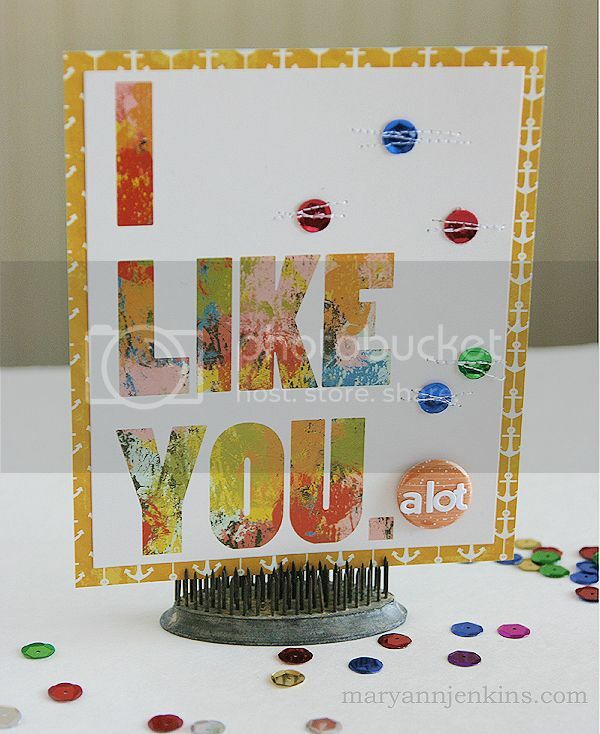 The printable is too cute on the first one, and I love the sentiment from the Glitz pack!